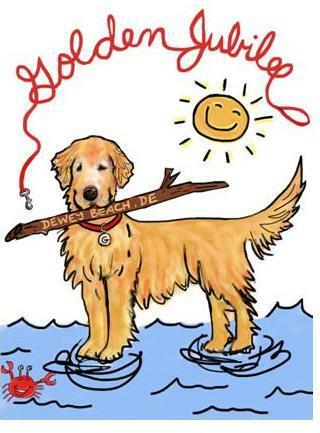 I just wanted to make you all aware that it is time for the 2019 Spring Dewey's Golden Jubilee in beautiful dog-friendly Dewey Beach, DE. Surf, Sand, and Sun (we hope). Where else can you take your golden(s) and let them run free on the beach with 200 of their new furry friends? This event is set up by a few crazy golden ladies. We raise funds for the Morris Foundation's Golden Retriever Lifetime Study. Sounds like a lot of fun, hope you have a great turn out. Last edited by CAROLINA MOM; 03-15-2019 at 08:13 PM.